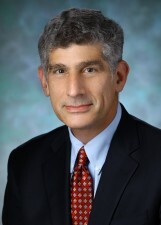 Home / About the Jerome L. Greene Sjögren’s Syndrome Center / Meet Our Team / Alan Baer, M.D. Dr. Alan Baer is a Professor of Medicine. He founded the Sjogren’s Syndrome Clinic in the Rheumatology Division at Johns Hopkins shortly after joining the faculty there in 2007. He graduated from the Johns Hopkins University School of Medicine in 1978 and completed his post-graduate medical training in Internal Medicine and Rheumatology at the Johns Hopkins and Vanderbilt University Hospitals. He was a faculty member at the University at Buffalo, State University of New York, from 1986 to 2007, and served there as Chief of the Section of Rheumatology and Fellowship Program Director. Dr. Baer has a long-standing interest in Sjogren’s syndrome.